I don't generally write blog posts purely to promote a sponsor's product. It's just not my style. But I HAVE to tell you about the Brinsea Mini Advance Incubator. I'm not writing this post because Brinsea sponsors my blog - although they do. I'm not writing it because they gave me my Mini Advance for free - although they did. I'm not writing it because they donated incubators and OvaScopes to give away to fans - although they did. 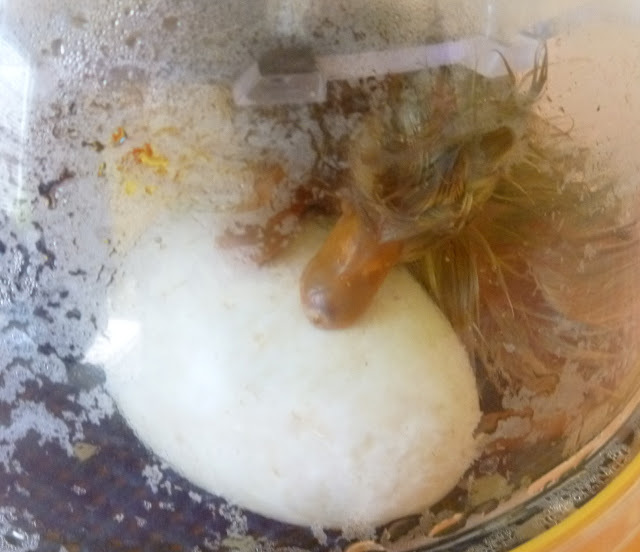 I'm writing this post because the Brinsea Mini Advance is an excellent product that I stand behind unequivocally and the experience of hatching chicks and ducklings has been an experience beyond words. With my Brinsea Mini Advance I achieved a 100% successful hatch rate - yes that's right ALL of the eggs I have incubated in it have hatched - for THREE consecutive hatches. Every single one of them. Unheard of. In March, I set nine shipped fertile eggs. This was my very first hatching attempt - EVER. I was prepared to only have maybe a 50%-60% hatch rate which would be normal using shipped eggs and an incubator. All nine eggs hatched. The link to The Great Eggscape, a chronicle of our hatch experience day-by-day is HERE. Then I donated the incubator to a local school. They set seven eggs from a nearby farm. I am sure that the table was jostled and the incubator lid lifted by excited second-graders. Regardless, all seven eggs hatched. Not content to rest on its laurels, my Mini Advance came through again when I set five shipped duck eggs and all five hatched. The link to The Great Eggscape Too, a chronicle of our duck hatch experience day-by-day is HERE. 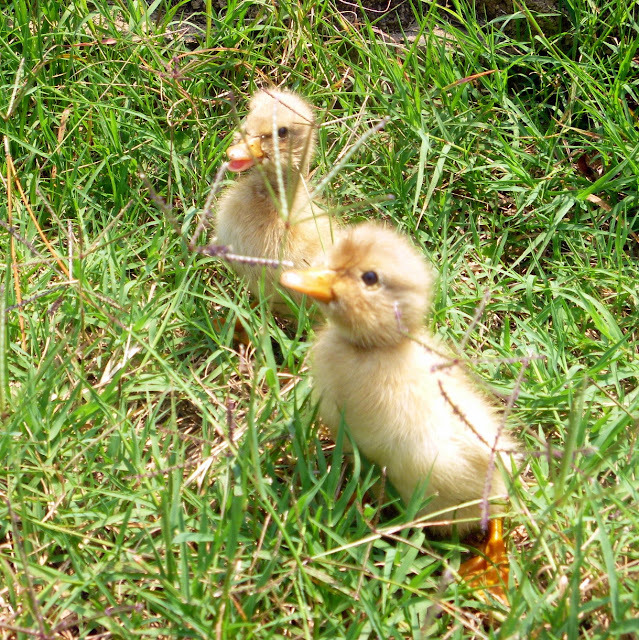 You blessed us with nine gorgeous new chicks...and five new ducklings. I would never consider incubating eggs in anything other than a Brinsea Mini Advance. The excitement of being able to watch each egg pip and ultimately hatch is unrivaled. 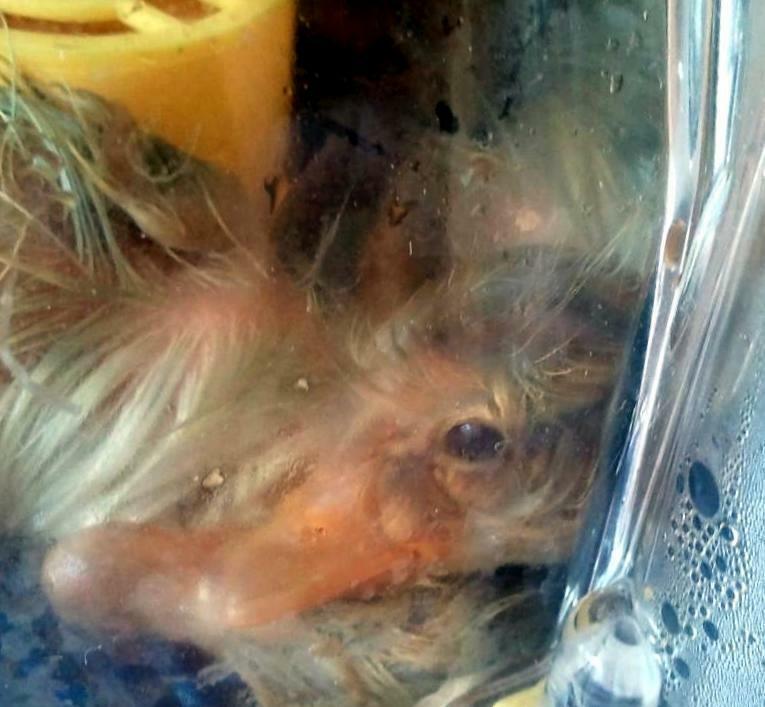 And I notice that the chicks I hatched are much more affectionate and friendlier than day old chicks I have purchased in the past or chicks hatched under a hen, so another reason I prefer using an incubator to hatch eggs. Brinsea has generously offered a 10% discount to Fresh Eggs Daily fans using the coupon code FRESH at checkout which is good on also on the Mini Eco Incubator and the Mini Advance EX . The coupon code FRESH is valid on all models, as well as any other Brinsea product. Brinsea is also a wonderful company to deal with. I have never had such friendly service or fast response to questions. And while I'm on the topic, I also love the Brinsea EcoGlow 20 Chick Brooder. It replaces the traditional heat lamp for a safer, more natural brooding heat source. It uses less electricity than a heat lamp and eliminates the risk of fire. It is adjustable to three different heights for growing chicks or ducklings. The chicks took to it immediately, as you can see, moving in and out from under it as they wanted. I apologize again for this shameless sponsor promotion and now return you to our regularly scheduled programming. <----------- wants one! Broody hens work good, but you are right in saying that the chicks just are not as friendly as incubated chicks. Someday..... I will have! And the super dooper high intensity candler! Had great success with a foam incubator, but took a lot dedication and time. Would LOVE to have an incubator that has automatic settings for temp and humidity along with automatic egg turning. I enjoy your blog!! I'm going to put that on my list of "Things that I really, really want someday!" Wasn't your duck egg hatching not fully successful? You started with six eggs, not five. One egg wasn't developing so you removed it on day 8. Regardless, I want one of these incubators! Yes you are correct, but I never should have set that egg - I don't consider that an incubator 'failure'. It appeared to be a double yolker and I should have discarded it from the beginning because they generally don't hatch. Okay, thank you for clearing that up! :) I hope we get to see more pictures of your ducklings soon! I love looking at your pictures of all of your animals. I live in an apartment and sadly can't have chickens, ducks or any livestock. My daughter used and incubator when she was in 4-H. I just let the hens brood. I am happy they all hatched for you. Wow I can see the amount of work put in taking these photos and the patience .. simply great. Lisa,our power is known for going off at least once a week-have never found out why-but will the Brinsea reset itself if this happens.When it goes out it is just for a moment and is back on. Wow I would love to have one of these. My great grandchildren live by me and we would love to watch chicken being hatched. All my children are gone and I have been getting involved in this little babies. I have 17 babies chickens and hope to have ducks and 2 turkeys this spring. Oh, how I want a Brinsea Incubator. Reading about your experiences with yours only makes me wish for one even more. 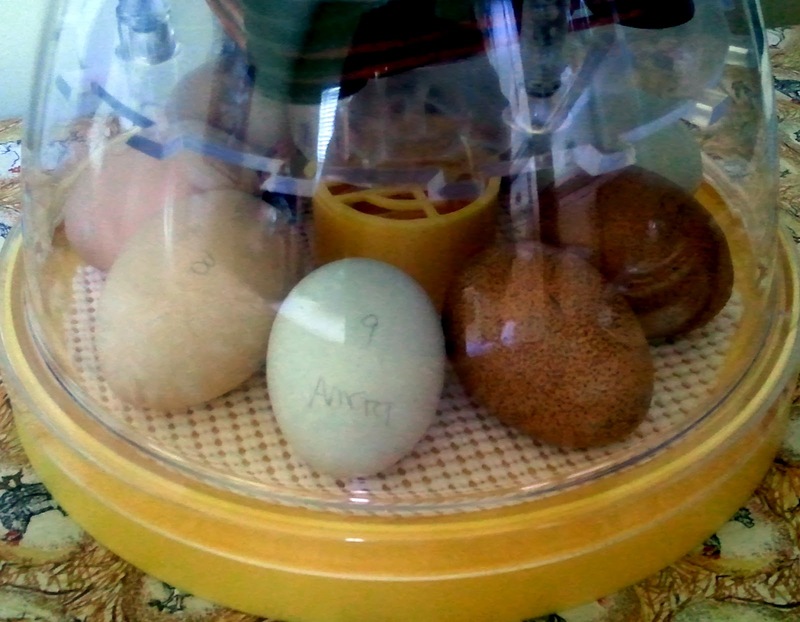 I LOVE the idea of loaning out the incubator to the school for the second graders to watch a clutch hatch. I think children of any age (including myself) would enjoy the experience. How does this compare with other Incubators? I'd love to start hatching chicks. This is a great science!